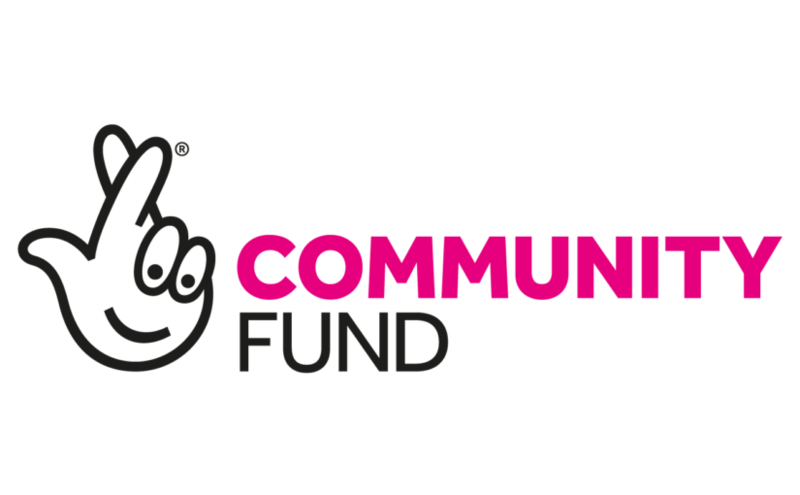 In April 2016 Rotherham Federation won £401, 800 from the Big Lottery’s Reaching Communities Fund to deliver its Community Voices and Choices project. The 36-month project adopted the Community Organiser approach seeking to address the lack of social capital, building community strength and empowerment in eight of Rotherham’s most deprived communities. This is the final evaluation of the project produced in January 2019. Shelter has produced a comprehensive report on ‘Building for our Future- A Vision for Social Housing’ in January 2019. Rotherham Federation of Community fully endorses this report and supports the recommendations made within it. At their meeting on 21st January 2019, RMBC Cabinet will approve a recommendation to the full council of council house rent reductions of 1% this year. Whilst this is great news for hard pressed tenants, this will continue the squeeze on funding needed to deliver services required in the HRA Business Plan (services for council house tenants). Tbe Big Lottery Fund is awarding £272,732 to Rotherham Federation of Communities (Rotherham Federation) for a further 3 years to enable residents living in eight of Rotherham’s poorest and most excluded areas to become engaged in local life, have an effective voice and be empowered as a community to influence change in their area. The project will train and directly employ 3 full time Community Organisers from our local communities in Rotherham to undertake this work. Steve Ruffle, Chief Executive Officer of the Federation said “this project will meet continue the excellent community organising work we have been undertaking during the last three years. We are using the innovative Community Organisers approach to involve local people in planning and delivering community change.” Community organisers will help support local people get their views listened to, support them to run their own activities and bring community groups together. 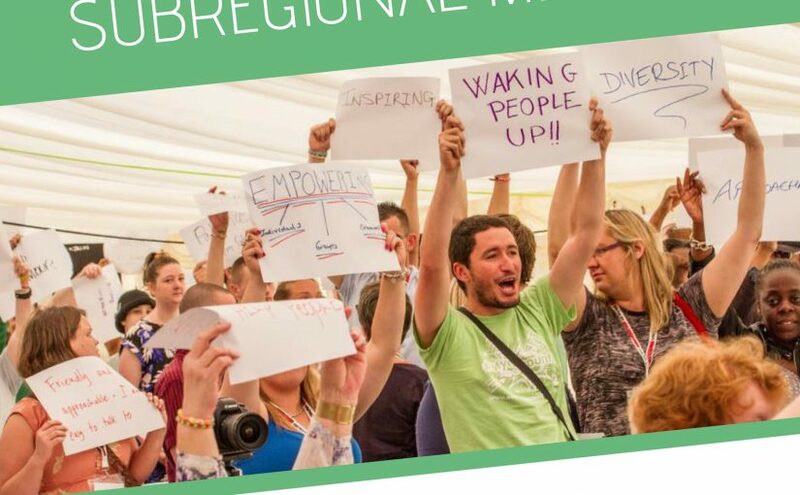 Rotherham Federation supports communities to grow and develop, working with them to build their sense of belonging, community pride and spirit. We work with and through grass roots community groups that are committed to bringing communities together, giving all communities a voice and creating local solutions to local issues. The Big Lottery Fund supports the aspirations of people who want to make life better for their communities across the UK and are responsible for giving out 40% of the money raised by the National Lottery for good causes and invest over £650 million a year in projects big and small in health, education, environment and charitable purposes. Since the National Lottery began in 1994, £33 billion has been raised and more than 450,000 grants awarded. For more details of the More Voices and Choices project funded by the Big Lottery Fund contact Steve Ruffle on 01709 368515 or by email at steve.ruffle@rotherfed.org. The Federation is based at Springwell Gardens Community Centre. Derek Corkell was born in May 1934 and died on 14th December 2018 after a long illness. He was a member of the Rotherham Federation of Communities board between 2007 and 2013, He was both Vice Chair and Company Secretary of the Federation at different times. Derek was also a Board member of Tenants and Residents of England and chair of Windy Ridge Tenants and Residents Association in Aughton. Derek was passionate about involving allunderrepresented groups in what the Federation did – he was an important architect in supporting the establishment of Rotherham Deaf Futures group. Derek always encouraged people to work together – in relation to the council, our landlord he always promoted our role as critical friend, challenging when need be but never falling out for the sake of it. We are evaluating our community voices and choices project (community organisers) – we would like to find out what local volunteers think about the project and what difference it has made to you. Complete this survey which will help us shape the way we work over the next 3 years. What we can do together that we cannot do on our own? How can we use the power of the Yorkshire network to strengthen what we are doing, support each other and to take-action on the things that together we care about most? The national network is already mobilising around the issue of benefits sanctioning and Universal Credit – is this an issue you care about? Find out how you can get involved in our national campaign. A buffet lunch will be supplied. 2 positions on the Trustees Board are open to election and one co-optee position will be reviewed. Elections are up for representatives from Wentworth North (presently Sue Fox) and one Community of Interest position (presently Kim Addy). Rotherham Federation is a charitable company support communities to grow and develop, working with them to build their sense of belonging, community pride and spirit. We work with and through grass roots community groups that are committed to bringing communities together, giving all communities a voice and creating local solutions to local issues. 32 people attended the workshop held on Thursday 11th October 2018 at Springwell Gardens Community Centre. This complemented the consultation by Federation volunteers at Rotherham Show in September 2018 and an online consultation by RMBC in September and October 2018. Rotherham tenants from the Federation have also been involved in discussions on the Green Paper at the ARCH (Association of Retained Council Housing) Conference in Kettering on Tuesday 18th September 2018 and the North East Tenants Alliance meeting in Barnsley on 24th September and as well as Board meetings in August 2018 and October 2018. Rotherham Federation is pleased tenants for whom social housing is their home are being widely consulted on their views. We also welcome the changed language from Government that recognizes social housing tenants as equals in society. However, we do believe there are too many questions, too much jargon and feel many tenants found it difficult to engage with such a document. 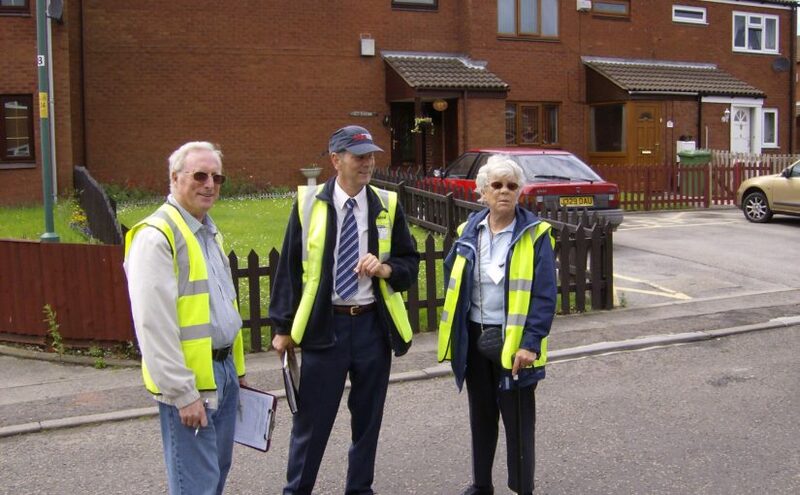 Whilst tenant engagement and scrutiny is of high quality in Rotherham with the recognition by RMBC as landlord of the important role of an independent tenant organisation locally (Rotherham Federation) unfortunately the important role of tenant involvement and scrutiny is not universally recognised by all social housing landlords in England. We believe mechanisms to ensure all social housing tenants have effective means to independently engage and scrutinise their own landlord services is critical. Key would be recognition of the importance of an independent and active tenant movement supporting active tenants and TARAs to have a say. We see that social landlords have a role to support the tenant movement locally which would feed into regional networks like the North East Tenants Alliance. We would expect national government to resource the national tenant voice. The national tenants voice should be unifying and representing tenants, taking up their concerns with a view of empowering all parties in the aspirations of their quality of life. It will unify tenants federations, regional tenants organisations, supporting good practice and ensuring effective collaboration. It needs to be one voice representing all tenants but recognising the specific local needs of tenants and the different needs in each area and of different individuals. Representing and providing support to tenants needs to be core to the work of the National Tenant Voice. 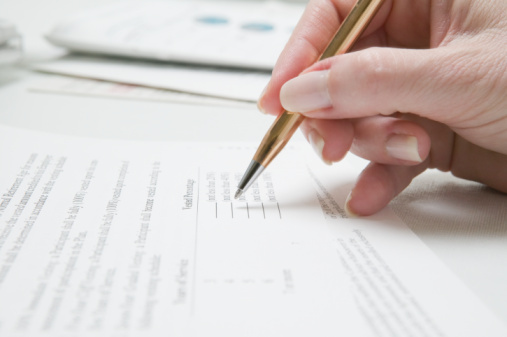 It will ensure tenants rights are maintained. A key task needs to be communication – both ensuring tenants receive information and their views reach government and key agencies. Tenants need to be told of what is happening. It needs to involve itself and help tenants become meaningfully involved in major consultation activities. Irresponsible reporting in the media unfairly promotes the perception that social housing tenants are troublesome. Some high profile politicians occasionally reinforce this misconception by stereotyping tenants. The allocation of social housing on the basis of need leads to few homes being let to those without significant needs. The Decent Homes Standard, unaffordable house prices and high quality landlords offering a level of security, means social housing is the tenure of choice for renters. While social housing is principally used to house those in acute need, social housing tenants will continue to be stigmatised- this will increase as the number of social housing homes decreases and the number of people in acute need increases. Only a significant increase in social housing number and the accompanying opportunity to house more than just those in acute need, will destigmatize social housing tenants. 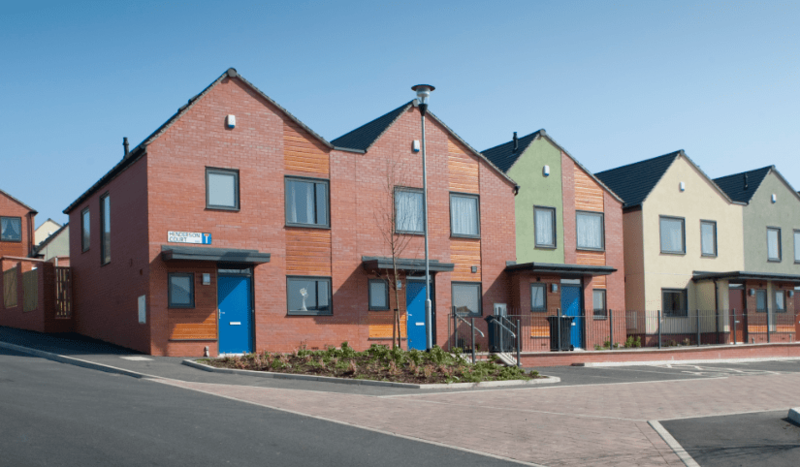 Rotherham Federation recognises increased supply of housing is critical to resolving our present housing crisis and must be taken forward developing housing of mixed tenure and ultimately mixed and thriving communities. Rotherham Federation are pleased to announce that, with funding from Rotherham Borough Council, a total of 16 Applications for the “Getting Online” Grant were successful and have received grants for their Group to help residents “get online”.